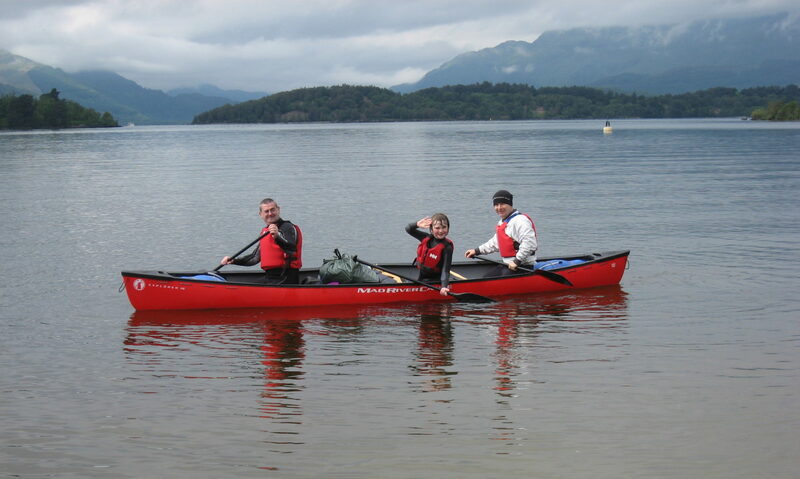 Report: This was the first Beginners Trip for the 2019 Basic Course and took the usual course from Luss Beach, up the river, around seagull island and home. Of course it proved much more for the participants and a really enjoyable, informative(? ), beautiful trip. The River itself was in a strange mood being shallow throughout, possibly because it was blocked by ice higher up. Consequently it was very shallow at the mouth (only one channel was open) and very difficult under the bridge with the current both impeding progress and then swirling kayakers back on the other side if they did make it. A lovely safe challenge much enjoyed by spectators on the bridge. All in all the trip demonstrated why kayaking is such a great recreational activity.